As a consumer whether you are happy or unsatisfied where you shop they most likely have a customer feedback opportunity in which you can share your opinion in order to praise or help improve the shopping experience. The last thing you want to do after finishing your grocery shopping is to fill out a customer feedback report for the grocery store even if there are perks involved. I’m here to tell you that if you do participate in customer feedback that the results will come back to you in the form of riches. A couple of years back my wife took the time to fill out an online customer survey for Giant Tiger after a positive experience. The survey also offered a monthly prize although my wife was more interested in sharing how impressed she was with the service she was given by the lovely cashier who was absolutely pleasant. The odds of winning a prize based out of all the Giant Tiger stores was slim. We received a phone call one late afternoon to be told that it was Giant Tiger and that we had won a gift card for participating in their online survey. She actually won the $50 gift card for sharing her feedback with the company. A total surprise for her. Although working in customer service can be challenging at times my wife has always taken the opportunity to show an employee she values their role as a customer. When the same is reciprocated she wants to make sure their boss knows. My wife is also one to not hold back if she has had an unpleasant experience or something to offer the store by way of potential improvement. This may be to quality control, customer service or simple marketing of products. It’s amazing what the customers will help you learn about your business so always listen to what they have to say. They are after all the money that feeds the bank account to keep you in business. Why is customer feedback so important? It’s not just important, it’s critical. In a nutshell it’s about improving performance of the business but there are perks along the way. Customer retention is a HUGE business and if they can keep you coming back to spend money they are doing something right. Customer service is important but not as important as the amount of money a customer can save. A cashier can be miserable but at the end of the day if you need to feed your family all you care about is the food you put on the table and whether you can afford to pay for it. Bringing the package deal to the customers is very important because the customer never forgets. This is why product marketing and weekly flyer sales are critical to business success as an umbrella over everything else. The tricky part is keeping customers dry so they don’t end up out in the rain without any support from employees or the management team. If you only have one grocery store to shop at or you have a variety of options everyone who has a voice counts towards the success of the business. You become richer when a business works with the customers to get them in and out efficiently while supplying quality products at the best price bundled with excellent customer service. How far will a business go to get customer feedback? Customer feedback will always return to the customer in many ways but only when a business listens. Not everyone takes the time to voice their opinion especially if they see it as a waste of time because they believe no one will listen. Keeping customer feedback surveys or opportunities short and to the point is in the best interest of the business. Surprisingly not every shopper just wants the best deals when they are grocery shopping, they want much more. Just about any store that wants to grow their business wants a sneak peek inside of the minds of their customers so they can learn about their company and how it compares to competitors in the industry. Isn’t it wonderful when you see a business make changes after requests from customers to improve their shopping experience? This happened to my wife recently after a visit to McDonald’s. She had an idea for the store so when she got home she read the receipt to find out where she could give customer feedback. The next time we went in for coffee she was shocked to see exactly what she had emailed the restaurant about in full swing. It may have been a coincidence but the idea she offered was staring her right in the face and efficiency is now easier for the customer and the team according to feedback from an employee. Needless to say my wife was happy that they had listened to her suggestion whether it was a direct result from her idea or not. This is why it’s important to offer feedback to a business in hopes of changing the restaurant experience in a positive way. Why does a business want customer feedback? For many reasons and although you may not think they are important or that your voice is not needed the information collected is mighty valuable. 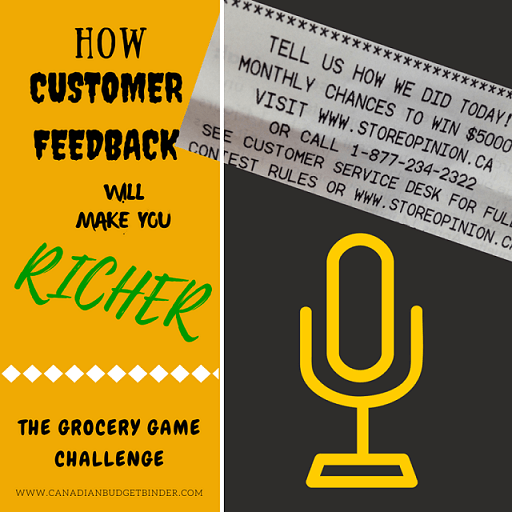 How are grocery stores capturing customer feedback? Any feedback tool will do as long as the customer has an outlet to provide information to the business. It’s always nice to have an ‘other’ section for a customer to fill out additional information if a survey is offered whether written or completed online. Most often the only way grocery stores are able to get the customer feedback is by offering an incentive for customers. The customer retention strategy will always be to engage the customers so they feel like part of the team. When you involve the customers they feel as if they are participating in making their grocery shopping chore which it is for most of us, an important one. I know many of you read your grocery receipt before you leave the store to make sure you aren’t overpaying for any items. Sadly this is solely done because of the Scanning Code of Practice (SCOP) but even for stores that don’t offer SCOP we should all take the time to review our shopping bill. Participating in SCOP may yield you a freebie but for the store it shares a deeper line of information about their pricing strategy. The customer survey benefits everyone because when a business cares about their customers those customers will be customers for life. A winning combination if you ask me. If you are wondering how you will become richer by taking the time to express whether you had a good customer service experience or one with some hiccups you ultimately reap the rewards. Overall everything that you offer in your customer feedback to a store will be looked at and either implemented or considered for when the time is right. Part of good customer service doesn’t end at the cash register it never ends. Offering an incentive to the customer might make you a little richer with rewards but the richness comes in the form of knowing that you are making a difference for a business who relies on your opinion. A successful business will always roll down the benefits back to the customer. So the next time you see the opportunity to provide customer feedback in any of the various ways they are looking to get it, don’t be shy and speak up. You never know if you will make a difference to help improve a shopping experience for everyone not just yourself even if you don’t win a prize. How have you participated in customer feedback? What the fans say is important to them. I have the local Foodland right across the street but we were going there before we moved to this house. Compared to the other store in town the prices were good and the staff were super friendly and they still are. It is rather nice to have the staff know me by name.- Christine W.
Grocery store of choice is superstore. Love the points I get back– Cathleen R.
Price and convenience. 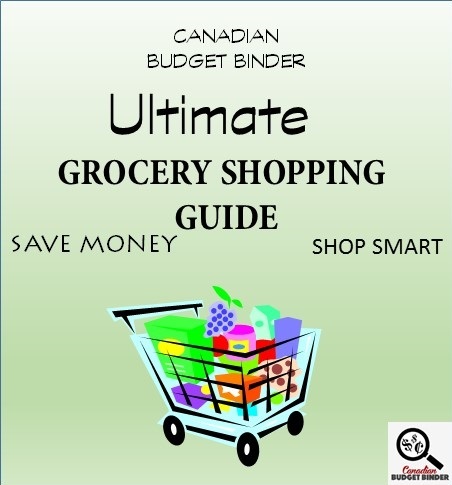 I love the fruit and veggies from Costco and the local store is the only local store.– Michelle K.
New monthly prize: $10 President’s Choice Gift Card for Canadian residents only BUT If you want to play from outside of Canada and have PayPal and you win I will pay you $10 Canadian . I use a random online generator to pick the winning ballot every month. We didn’t need too much this week but what we did pick up was staples and a few of those pretty 50% off sticker items that we found. Since I’m working so much now we didn’t have time to shop at more than one store so our shopping was exclusive this week. I didn’t didn’t blink twice before grabbing 6 dzn of those eggs!! It looks like the packaging has gone from a cardboard to a styrofoam one so they had to get rid of them…..their loss my gain! I was busy talking to the customer service lady and not paying attention to the cashier or the total when I paid because it looked like the till automatically took off a certain amount of money on the soup because of their own sale and didn’t realize I was price matching. I didn’t realize what happened till I was doing was ggc totals. Another busy week shopping. Lots of clearance deals again and awesome sales at rcss too! 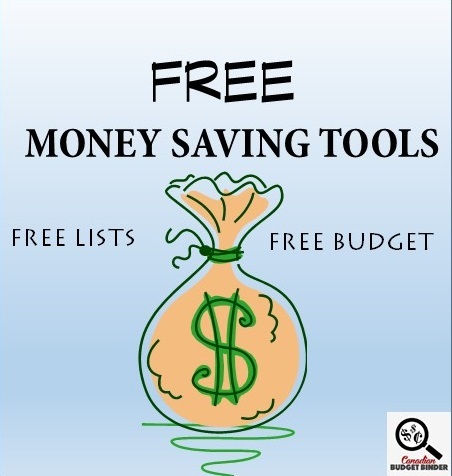 I am thankful and lucky to be able to find coupons (sometimes a few an other times tonnes) that I can use, give away and trade. Yes it can be time consuming but to me it pays off. Weekly Overview (your final thoughts) Another week under. Hubby had an appointment in town so we went to No Frills and Food Basics. I was hoping to get my roasts that I have the rain check for fron Food Basics but no luck. They get one more chance before I complain. I am really not impressed with them right now. I talked to a manager the other day and they will keep renewing that rain check as they won’t be getting more in. Apparently they only get so much in for a sale and that is it. Sounds like the main problem is with head office and not the store. I am very not impressed to say the least….. The discounts depend on the meat and the day, it’s been 30% lately with the odd 50% sticker but those are getting few and far between. I keep looking mind you. Plus I get 2-3 items a week that are reduced with my Air Miles card and then other items may not be on sale but I can score extra miles to add to my total I’m saving for Christmas and such. •	Total under spend for the year: 84.96! Weekly Overview : Sorry I posted so late this week, I was just too busy. Small shop this week because there wasn’t very much I needed! The only deal to mention was the big ham I got for 9.99, it will make many meals. Decent sale at our local butcher shop on ready-made hamburgers and I got my second ever Checkout 51 cheque, so we applied it to this purchase. A nice bonus at that time, we are looking forward to the BBQ season. Our son needed shampoo this week, and it is always an expense, but we lucked out and got it for a dollar off the regular price. We bought two packages of olay soap, but two different sizes, so two different prices. We needed enough to get by. We needed more this week, so a more expensive week. We are so very, very close on covering the overspend we did in January, less than a dollar left to go! Yes! It may be taking us a little longer than we expected to achieve this, but we could have just let it go and said that it was okay. Since my college courses are coming to a forever close, we have to start looking to the future, super frugally right now. We have been a bit looser with the purse strings when I got the part-time job (weekend in Ottawa for hockey, a couple of takeout nights here and there), but this is a student job and it inevitably will end now that I am almost not a student. A shame, I love it there so much, but the real job hunt must start. And while that happens, the grocery budget must not be tampered with, lol. If anything, it will be cut possibly, something I am toying with, but my concern is tat $50 weekly is already too tight for three people to cover consumables (food, kitchen, bath, laundry soap, paper products, etc.). I have been lucky that our school has some things available to students who go and get it, so some of the consumables haven’t been part of the budget because they have been free – laundry detergent that my so can actually use, razors, tissues, hand cream and for a while deodorant. The time isn’t there for that yet, so I will not make any decisions at this point. And, yes, the occasional takeout (which we rarely did, and still didn’t do every week since I took this job) is gone. It was a nice treat while it lasted, and I know we could have set that cash aside, but it was nice to treat our son who doesn’t get that sort of thing as often. But, we will step up his cooking in the kitchen so it adds some flair and ownership of the meals. He is doing really well with this. So, I am thinking one more week and we will have that overspend gone, maybe we may be able to build the carryover jar again! Yes, it really was a whole celery! I think the store just had too many. The display was massive. Occasionally I luck out into something like that. A year ago it was blueberries, two years ago it was cream. The big deals stand out over the years. Right place, right time. I find that I am having a tougher time finding coupons for things I need. A few years ago, they were everywhere, now it’s just harder to get. I know I can still get the Driscolls coupons I used to use, but I haven’t bothered since fresh berries are over priced. Beyond that, I am pickier. When I was working full time, I bought the brands we like or were used to, now I buy cheapest and best value. A practice I did in my early to late twenties. I haven’t got a job past school yet, but I am like a cat, I like to land on my feet. I have accepted that it may take a few months and life isn’t going to be magic right away after. I am not looking outside of the city at this point. But, I am looking within 1/2 hour driving distance at this point to various small towns. I am trying to add something to supplement hubby, he’s been at his job 13 or 14 years now, so we’re working small. Branching out may happen, but it will be a last resort. We like the city we live in, it is a great environment for our son, he has a great school and we are 1/2 hour away from plenty of family. This week I cooked a ham and with the leftovers made Hawaiian Pizza & Ham/Corn Chowder. I know I am always over budget but I don’t look at it like I have failed. I am using it as a learning experience for me and my family. So far in 3 months I have realized that I get bored with food very often and I am in constant need of trying new recipes. To help with this I have joined a cooking class at Superstore on Wednesday’s. You pay $10 and they feed you and then they give you a $10 gift certificate to sign up for the next class. WIN-WIN! I find the classes very inspirational! I have also realized we buy a lot of snack foods for the kids lunches and in the summer time this will be eliminated until September. As well, I realized that we don’t love frozen vegetables, we prefer fresh and to stay on budget I have ramped up my gardening efforts and I will be growing more food and growing earlier/later in the seasons to help with the overspending. These are just a few of the things that I have realized since writing all of this down and playing along in the challenge. I hope to keep improving and maybe even be on budget someday! It is handy having the store across the street as |I can just walk over and they know me there. For those times I go out of town to Stratford I try to combine the shop with other reasons to be there as gas can be expensive for the truck. Food Basics is currently not in my good books as I am still trying to get my roasts that I have rain checks for……..One more chance before I go to higher ups to complain…..
We had a fairly substantial shop last week and even though I didn’t plan to shop quite so extensively this week… I did! Son of a gun, I need to stay out of the stores! I just couldn’t pass on some of these prices. Sound like a good justification to you? Me neither. What a pickle we are in! We’re only half way thru the month and I have no money left for grocery shopping. I still have a $1.76 Cash Back Coupon from our Gas fill-up at Safeway so if we need milk, I’ll use that to help hold this month’s overage to a minimum. OUR CURRENT TOTAL UNUSED RESERVES ARE $949.88. This means the $936.51 that we carried forward from 2015 PLUS AN ADDITIONAL $370.29 that we have added in 2016, LESS $356.92 that we have drawn out for use in 2016. My meal plan usually stands but not necessarily on the night I say…life happens and sometimes we just hit up the leftovers and sometimes we re-arrange the order. This week, I have been switching things…a couple of times we had veggies and dip just because I want a crunchfest and I can get hubby to eat a rainbow of colors at a single sitting that way. I am struggling to keep on top of the baking for hubby though. This last week I have had a lot of pain so, with his help, we got all but one dessert made. He’ll get that dessert another week…I just pushed it forward in my meal plan. My store of choice is RCSS because of the PC Points, Price Matching option and for the few times that I needed staff assistance, they have been very helpful. Oh, it’s also close to my house. I could drive to a few other stores in the city as they are not too far away but why spend all money on gas when I can get most of what I’m looking for at one store. Overview: Decided to make this week a “no shop” week. With the working at the market on Thursday and such, we didn’t really go thru our meal plan. We are using most of that meal plan this week so we didn’t any things. This won’t happen too often and it wouldn’t if we hadn’t eaten out so much.